Being a generation of Instagrammers and social media addicts, it’s only natural that we are attracted to photogenic foods and drinks. Japan has mastered the art of visually appealing food - just look at all the theme cafes and the ingenious menus they come up with! However, you don’t have to stick to a diet of Hello Kitty pancakes and Kawaii Monster Café parfaits to keep your Insta feed aesthetic. Enter JTRRD Café, a small place in Osaka selling the most visually pleasing smoothies you’ve ever seen. Located near Tenmabashi station in Osaka, JTRRD café is a hit with the locals - particularly young women, grace to the selection of healthy foods on their menu. The place is rather small – around 10 to 12 seats in total, and is only open between 12 am and 17 pm. If you want to grab a colorful fruit smoothie, you’ll probably have to wait in line at least half an hour, but don’t let that scare you away! After you’ve passed the waiting test, you’re in for the real challenge – ordering your smoothie! But how exactly do you order? If you’ve managed to grab a menu, you’ll notice that there are no smoothies on it. That’s because JTRRD café makes them from the freshest ingredients available that day, which can differ from season to season. All you have to do is tell the staff what your favorite color is, and they will create your drink according to that. There are six colors to choose from – pink, red/orange (depending on the season), yellow, green, blue, and purple. You will also have to choose a size for your drink, and they have two available – short (¥648) and long (¥972). JTRRD café doesn’t do take-out, as they put a lot of emphasis on presentation. 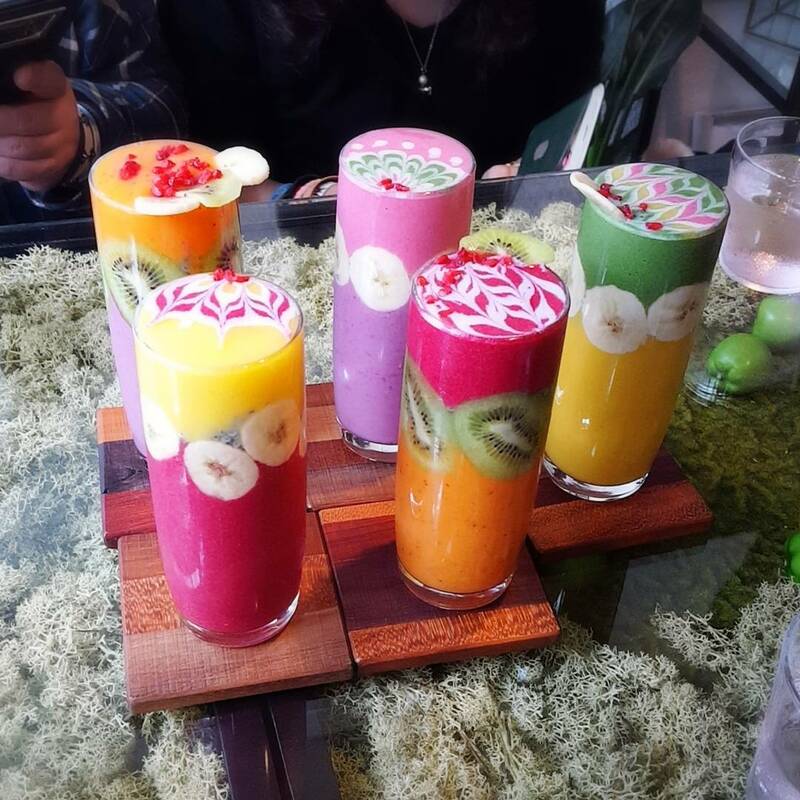 The drinks are real works of art – they come in layers of smoothie, chia pudding, and Greek yogurt, and the glasses are decorated with fruit slices. They also draw a pattern on the top of your drink, so that it looks amazing from just about any angle. If you’re feeling a bit hungry after all that waiting, and a photogenic smoothie doesn’t sound that filling anymore, JTRRD café also has a food menu. I recommend you try their Paprikare dish (a play on the words paprika and kare, which stands for ‘curry’ in Japanese), or the Paprika Omuraisu. Make sure you add JTRRD café to your bucket list next time you plan to visit Osaka. 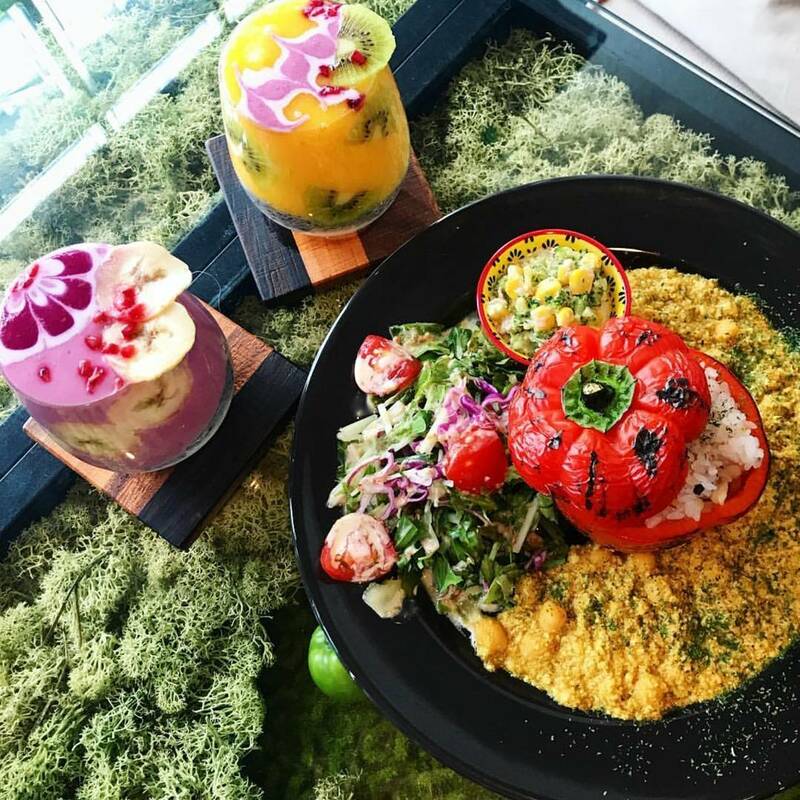 Not only does it sell some of the most beautiful smoothies in the world, but it’s a really great place to grab a healthy lunch when in the area. 3 spots in Tokyo to grab a photogenic drink! 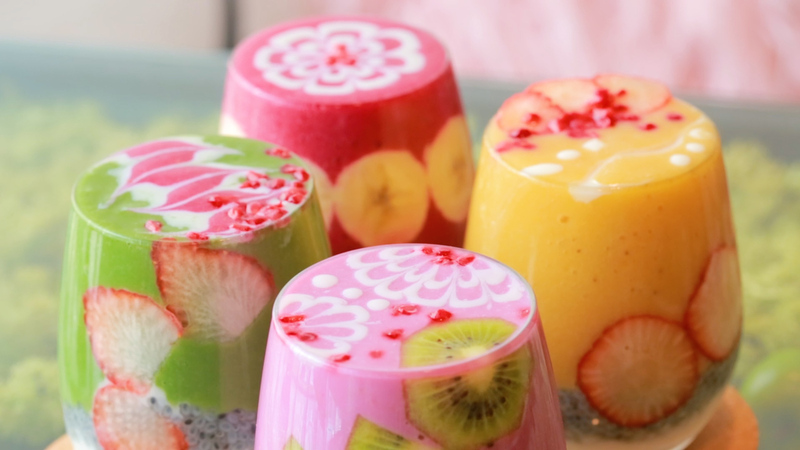 Bright Delights: 5 rainbow colored eats and drinks in Tokyo!